The men were robbed in this alley around 5:30 p.m. Tuesday. Lincoln Park is very quickly becoming the North Side's robbery center in 2018. As of last Monday, Lincoln Park had recorded 12 robberies in the new year. That’s up from six in the same period last year. Now, we can add to that list. 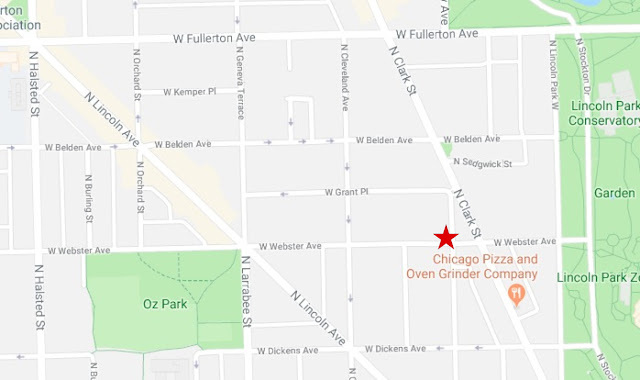 Police are investigating the armed robbery of one man and the attempted armed robbery of a second man just south of Clark and Fullerton this evening. While police said the offenders later used the victim’s debit card near Boystown, no one is in custody. 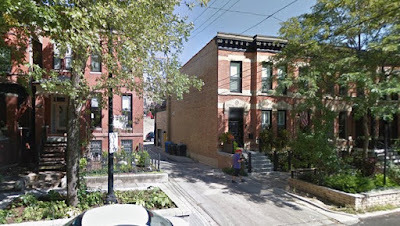 Around 5:30 tonight, two masked robbers approached a man near an alley in the 400 block of West Webster. The man handed over his phone and wallet at gunpoint, then gave the offenders his PIN number when they continued to threaten him. Our volunteer reporting team would appreciate help covering their expenses. Seconds later, the same two men tried to rob a second victim in the same alley. But the robbers fled the scene when the would-be victim told them that his dad is a police officer, according to a report. After the robberies, the offenders used the first victim’s debit card to withdraw money from an ATM in the 2300 block of North Clark and again at an ATM inside a Boystown-area CVS Pharmacy, 3101 North Clark. Police said the robbers are two black men who wore black masks. One was dressed in a red hoodie and a sports jersey. The other, who was armed with a handgun, wore a black hoodie.